Make dinner and dessert at the exact same time with the Amana 30 in. 4.8 Cu. 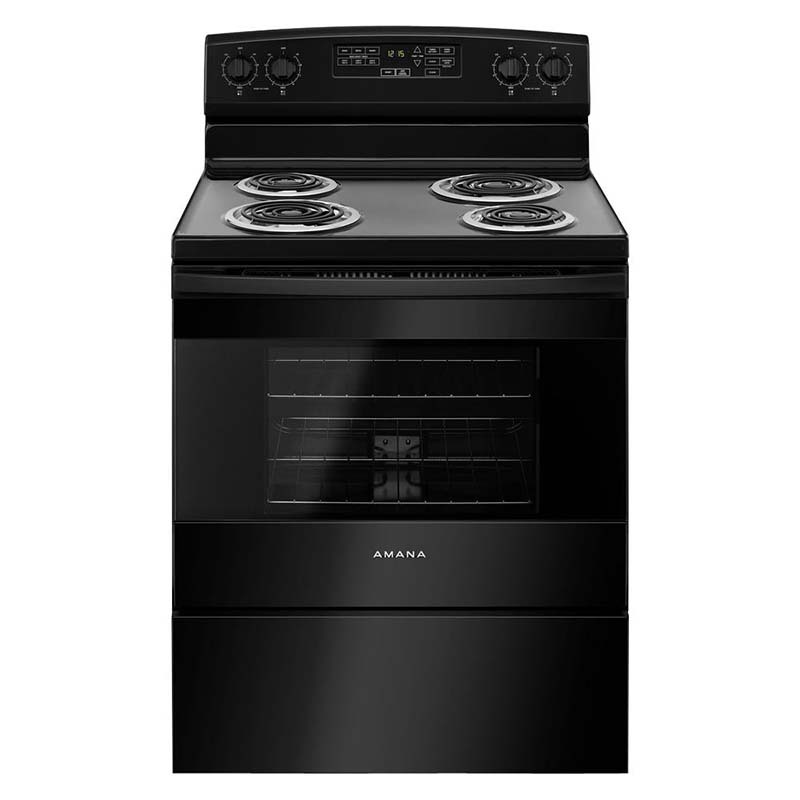 Ft. Black Electric Range-equipped with a large capacity oven and a versatile cooktop! Supplying 4 burners-two 1250-watt coil elements and two 2100-watt coil elements-this spacious cooktop can handle pots and pans of all shapes and sizes. Reference the preset temperature settings to take the guesswork out preparing your meals, and apply the warm hold setting to keep your dishes heated until they are served.